Traffic is now clear in both directions for motorists while the B-Double is currently being loaded onto a tow truck. Police have confirmed that the driver of the truck had a mechanical fault resulting in a blown tyre which caused a collision with the railing on the western side of the highway. 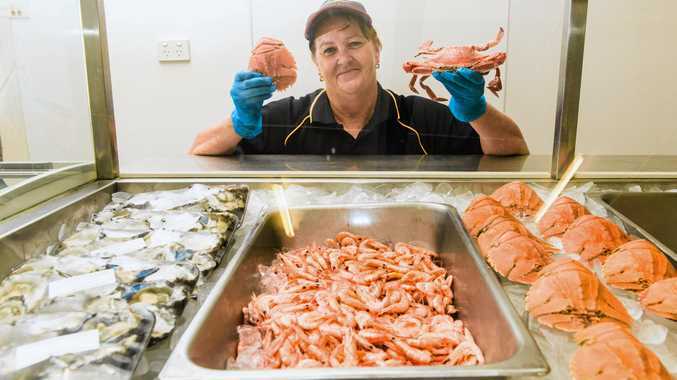 JUST one week after a crash cost the lives of two Lower Clarence residents, a truck has been involved in a crash on the Pacific Highway just metres from where the fatality occurred. 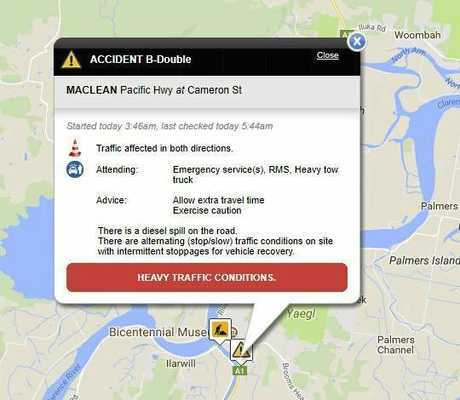 Live Traffic NSW is reporting a B Double was involved in this latest accident, just before 3.45am this morning, at the notorious intersection with Cameron St at Ferry Park near Maclean. On Monday, December 11, Ashby couple David and Carol Emert were killed in a head on collision just south of the Ferry Park intersection. Their funeral is this Thursday, December 21 at St James Anglican Church in Maclean. No injuries have been reported from this morning's incident at this stage. There are alternating stop/slow conditions in place on site, with intermittent stoppages required for the vehicle recovery. 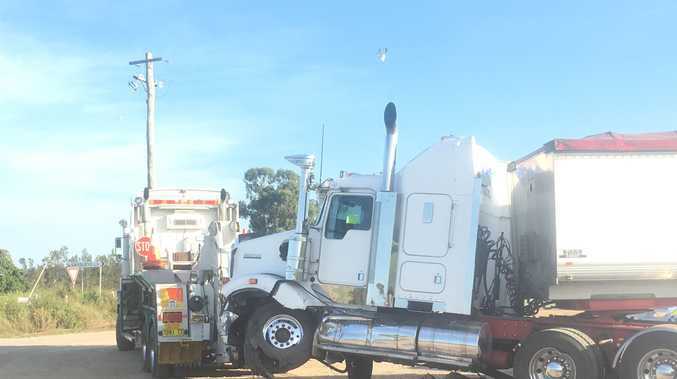 Emergency services and a heavy tow truck are on scene for the recovery, and there are heavy traffic conditions in the area, with motorists advised to allow more travel time. Near miss at Maclean: A blue Hyundai driver nearly causes a head-on accident near Ferry Park, Maclean. Footage courtesy of Shane Williams via Facebook.